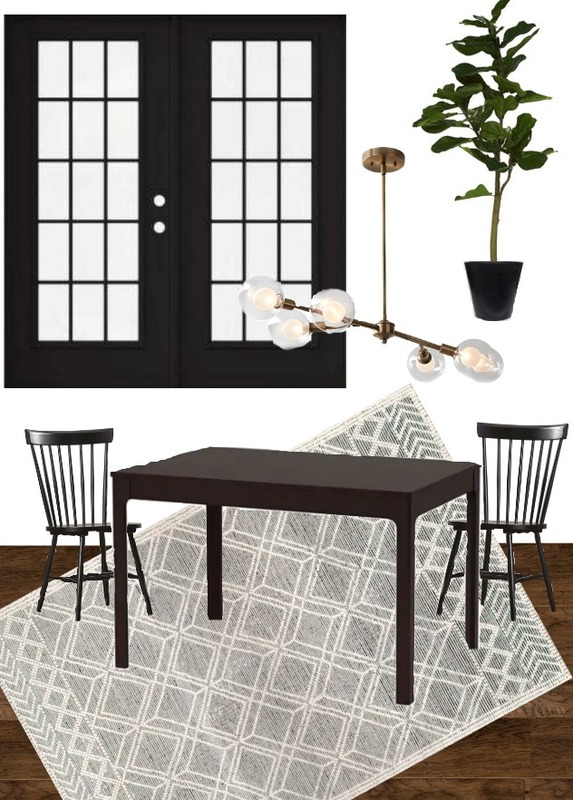 I whipped up a quick dining room mood board to get a feel for how two different modern lights would look in the space. 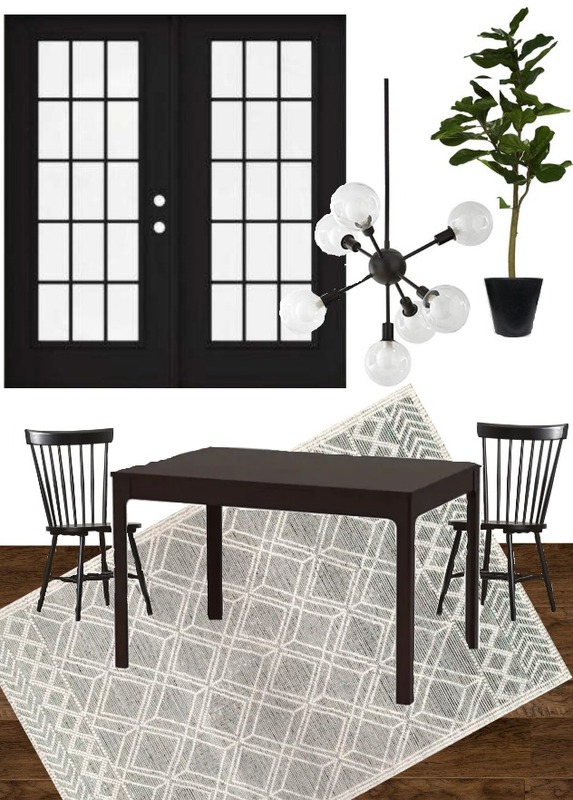 We do plan on replacing our current dining room table with a round one, but for now, I just used similar items that are currently in the space. 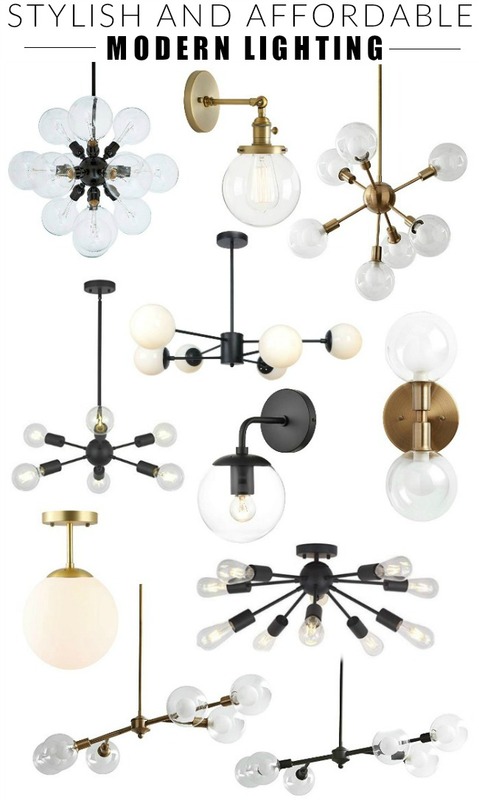 The first modern light fixture that caught my eye was a mid century modern gold chandelier with glass globes. I like that the gold finish will match the brass sconces, but be a nice contrast to the black hardware and chrome faucet. The second modern light fixture option is a starburst Sputnik chandelier in black. This light would match the hardware and be a good contrast to the brass sconces. The price tag is also a major bonus, which would definitely help keep costs down. Either light would make a great modern addition to our dining room, but I think I'm leaning towards the gold chandelier. I like that it expands horizontally instead of vertically and will tie in perfectly with the kitchen sconces. Which option is your favorite?